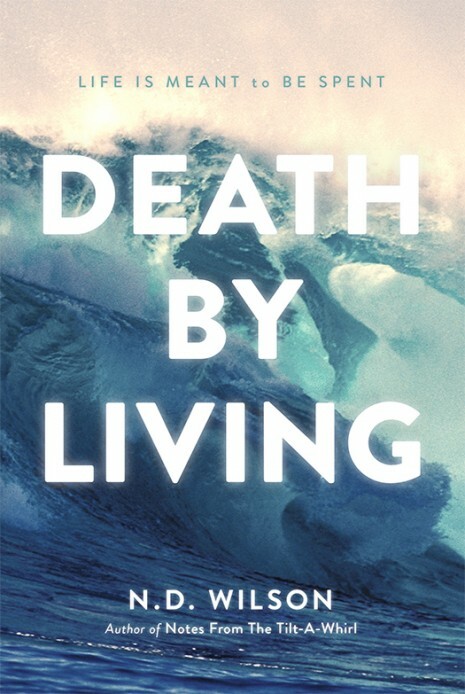 I’ve been reading this great book by N.D. Wilson, called Death by Living. 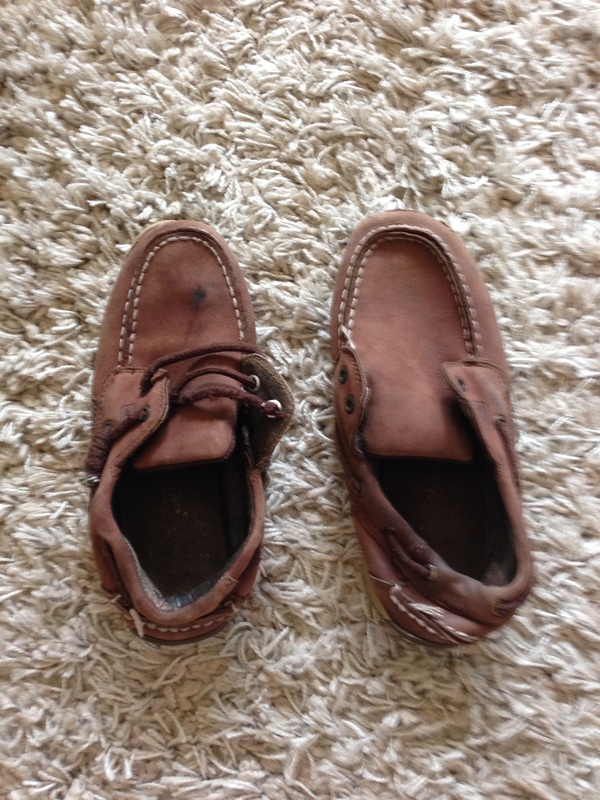 As we were getting ready for school this year, I discovered Benji’s old pair of shoes from last year. Benji lived a lot of good life in those shoes. He played a lot of gaga ball, chased friends, hurried to class, and wore a path to school and home again. He spent some life, and he left a few wakes. I loved finding those shoes. And I loved finding this shoe. The shoe Rebeka wore when she arrived in the US, summer 2012. Talk about a shoe representing a life. I shadowboxed one and sent it with Alayna to college, and kept one for ourselves. 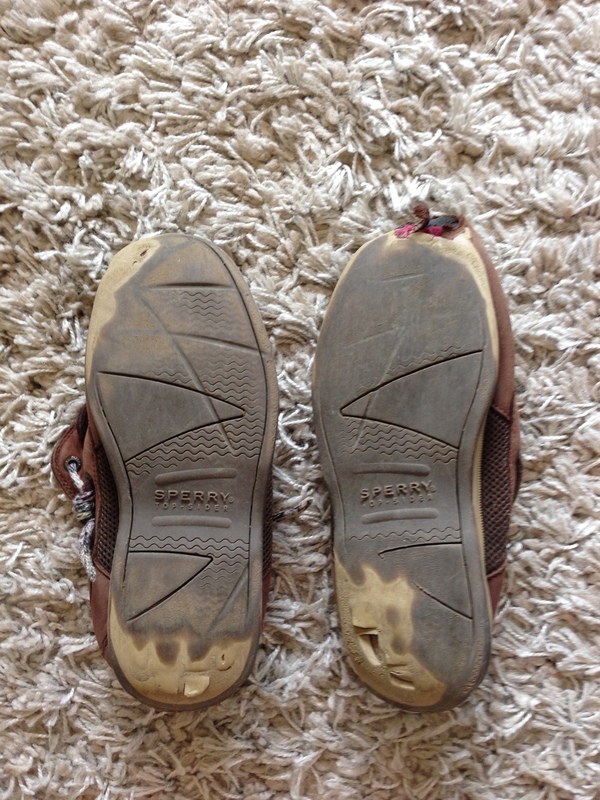 Rebeka’s is a life filled with struggle and fight and victory, and we got to see some of it unfold on our own home soil.The shoe looks tiny because it only needed to fit the top of Rebeka’s foot, contorted and curled. The shoe represents such a big story, on a grand scale. Ten-year-old Rwandan girl travels to Texas to live with a family she’s never met and undergo painful surgery, unsure how long she’ll be here or if the surgeries will work. She learned how to speak English, how to read, how to turn on a light switch and a water faucet. That’s drama. 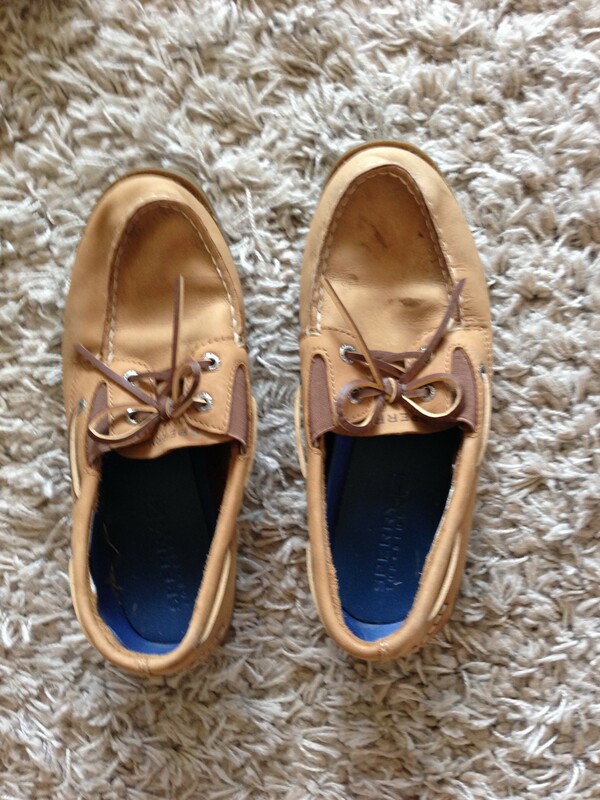 But there’s drama in Benji’s old Sperry’s, too. Much to be thankful for in both of their stories. Here’s one more quote from Death by Living. “Impossibillions.” It doesn’t matter what’s going on in our lives, whether life is good or life is hard, we have much to be thankful for. 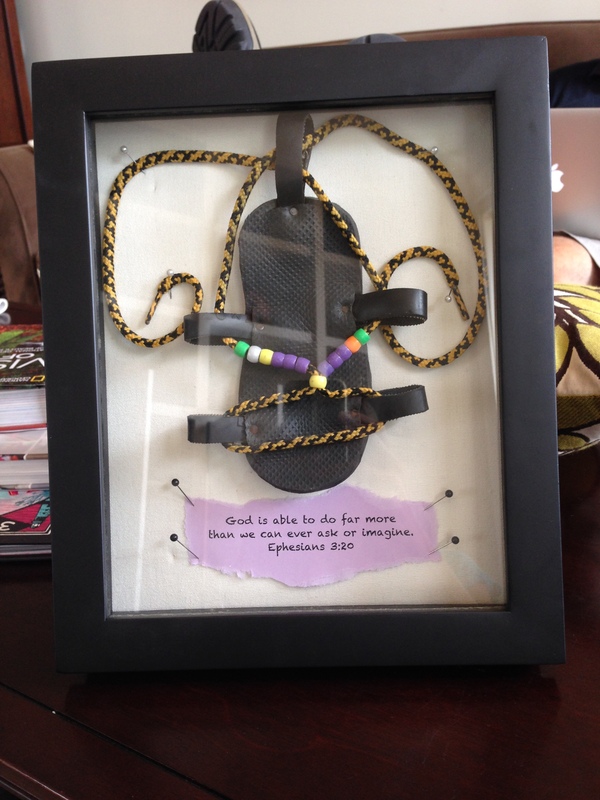 We take breaths, “pie smells like pie and hangnails heal and honeycrisp apples are real and dogs wag their tails and awe perpetually awaits us in the sky.” (p. 108) I framed Rebeka’s shoe, but I wonder if I should have framed Benji’s shoe, too. To remind myself that time is always passing, life is always being lived, no matter how “blog-worthy” it is, and it should be appreciated even if it can’t be held. Benji bought another pair of new shoes this summer, lacrosse shoes. 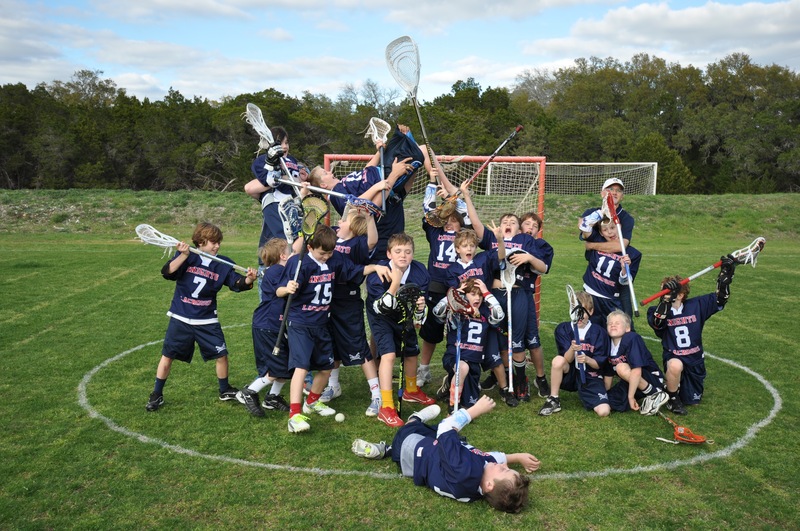 They hold all the hope and promise of a wild, passionate time of his life as a new season begins. 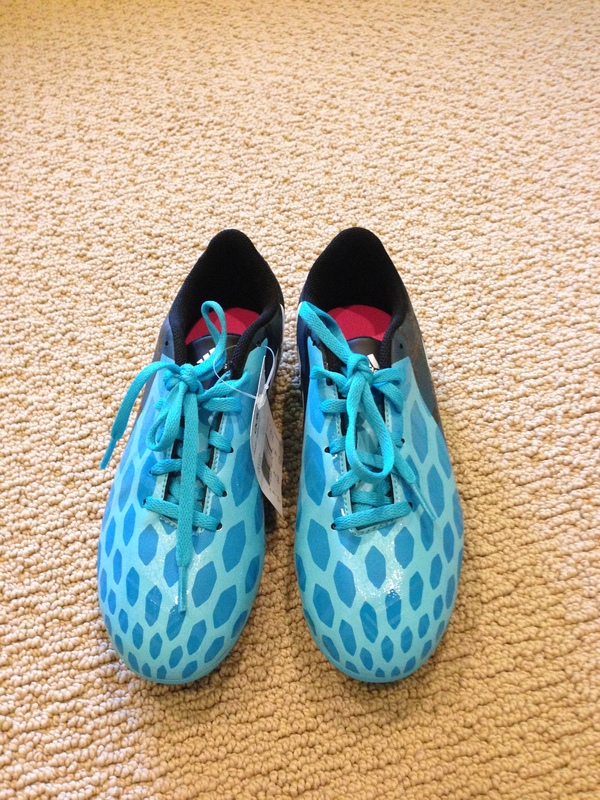 These particular shoes are made for running, playing, and stating to the world, “I am Benji, hear my turquoise roar.” And by the end of the season, may they be ragged and worn through, soaked with sweat and striving and learning and living well. What a lovely post, Meredith. And N.D. Wilson is a lovely writer. I have his book called Notes from the Tilt-A-Whirl: Wide-Eyed Wonder in God’s Spoken World. I should re-read it. What a lovely post, Meredith. And N. D. Wilson is a lovely author. I have his book Notes From a Tilt-A-Whirl: Wide-Eyed Wonder in God’s Spoken World. I should re-read it. Have you read his newest book, Boys of Blur? Boys of Blur is actually what introduce me to N.D. Wilson, I loved it! I was reading Sarah Bird’s blog and saw it shortlisted as a Newbery contender. Love this, Meredith! Thank you for passing along the charge to soak up life and be thankful for ALL things!